In 2016, the first year the Shelter reported figures, there were thought to be 295,000 homeless people in the country. As Statista's Martin Armstrong notes, that figure rose to 307,000 last year and has now reached 320,000. But it's not just the homeless that are suffering, as The Guardian reports, food banks in some of the poorest areas are preparing for a big rise in demand when universal credit is rolled out by calling for more donations and volunteers, and stockpiling essential supplies. 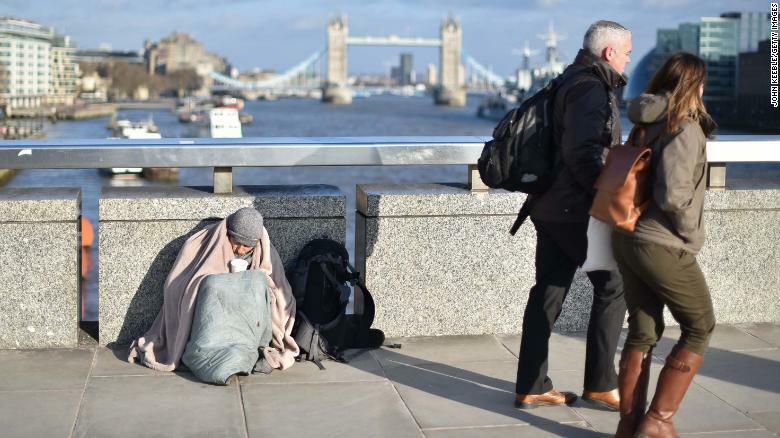 "These new figures show that homelessness is having a devastating impact on the lives of people right across the country. Due to the perfect storm of spiralling rents, welfare cuts and a total lack of social housing, record numbers of people are sleeping out on the streets or stuck in the cramped confines of a hostel room." "We desperately need action now to change tomorrow for the hundreds of thousands whose lives will be blighted by homelessness this winter."